Camping is a fun summer activity for people from all walks of life. 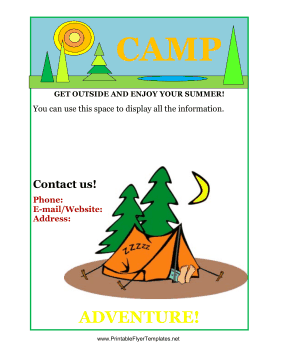 You can make sure your campground doesn't get overlooked by using this bright and humorous flyer. This is also a great choice for advertising camping trips and other organized outdoor activities.